How To Sneak Your Engagement Ring Abroad & Propose. Once going through I few design alternatives a halo theme was decided on. I wanted to make the engagement ring a little more unusual and created the band and claws of the ring to almost grow through the halo making this a much more organic design. 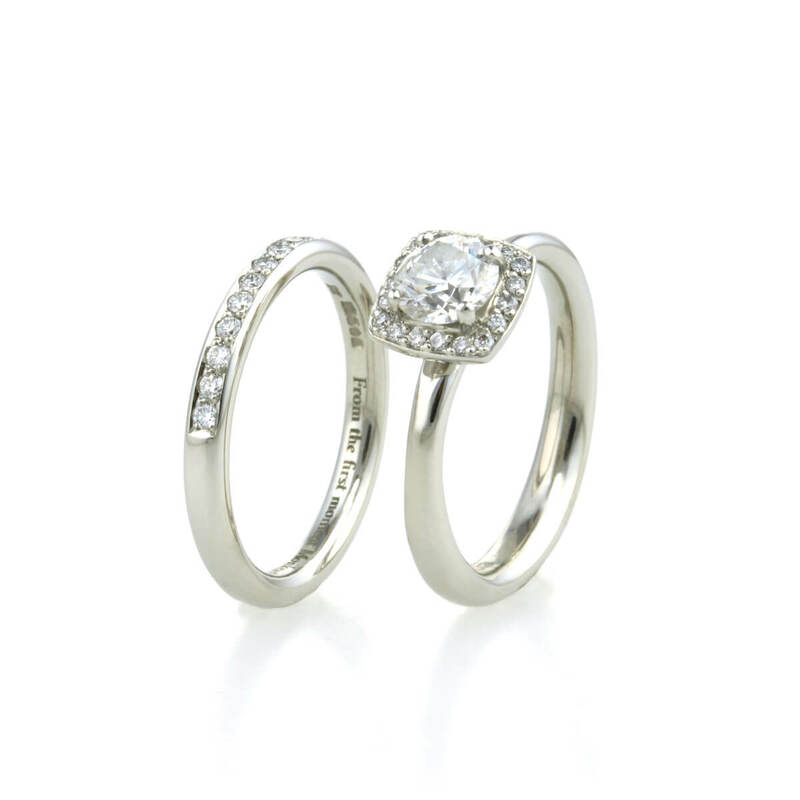 Made in platinum and set with a 0.60ct central diamond which is certified FVs1 in colour and clarity. The wedding ring was designed to sit underneath the halo of the engagement ring. Set with a delicate line of grain set diamonds.